All 'bout Suikoden !! Join polling too !! Wich Female Character in Suikoden Series most you like! Which Male Character From Suikoden Series Most You Like? Which one do you like, SASARAI OR LUC, and give a reason!!! 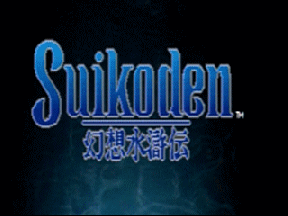 Which of the Suikoden Series is Your Favorite? Hey, what do you think can be the nice name for our headQuarters ?? Wich of 27 true Runes do you like Most??? What do you think the most wonderful castle in Suikoden ?? WHAT IS YOUR FAVORITE COMBO ?? ?